This items ships directly from the vendor within 3 business days. 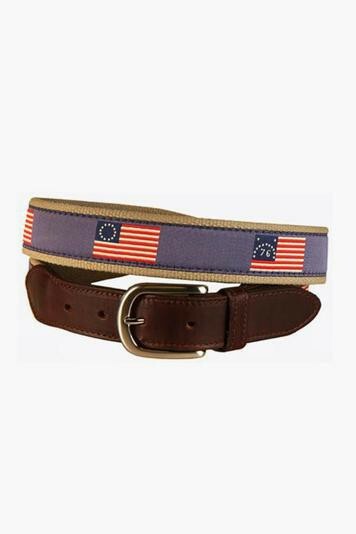 Show your USA pride with this classically designed leather tab belt featuring the American Flag throughout the ages..
We recommend adding 2 inches to a men's pant size to obtain the best belt size. For example, someone who wears a size 36 pant would wear a size 38 in our belts. When the waist is an odd size, increase the belt size by 3 inches (i.e. a size 33 wears a size 36 belt). 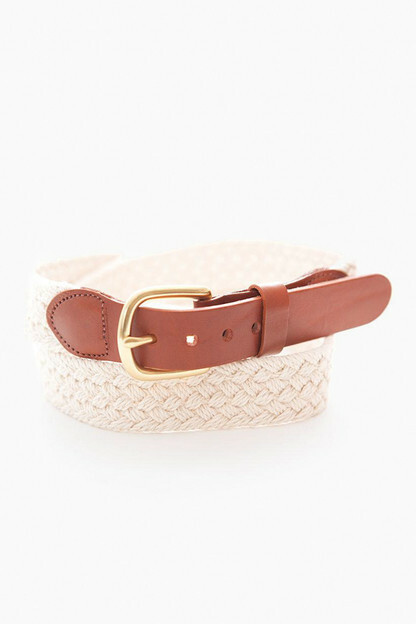 This belt is very well made, it's the perfect statement piece for a gentleman. I bought this belt for my dad and he absolutely loves it! It runs a little small but not much, pretty much true to size. 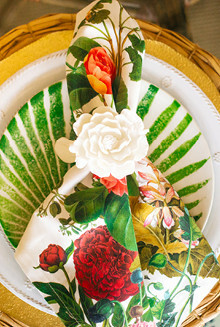 The colors and patterned flags are really stunning, the perfect gift for a gentleman. 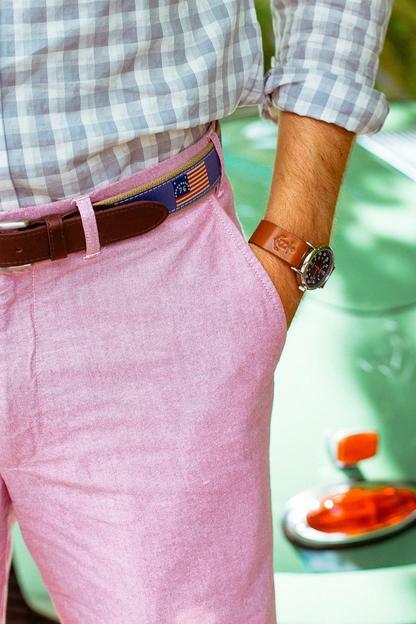 Ordered these belts for my fiancé’s groomsmen. 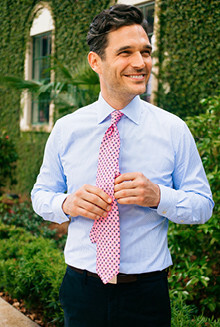 The light blue is a good pop with their navy pants and the quality is amazing for the price! 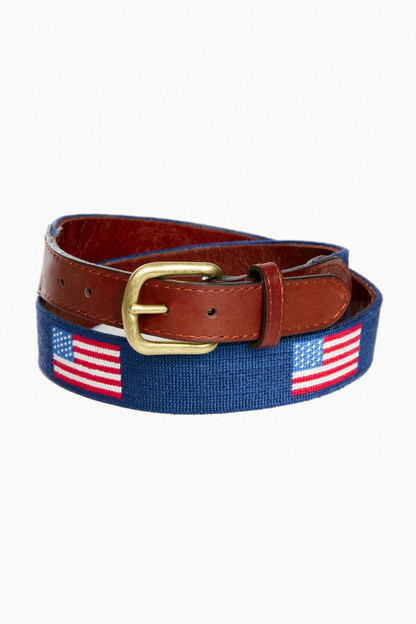 This belt is beautiful, the quality is really good and the flags look great. Definitely recommend. 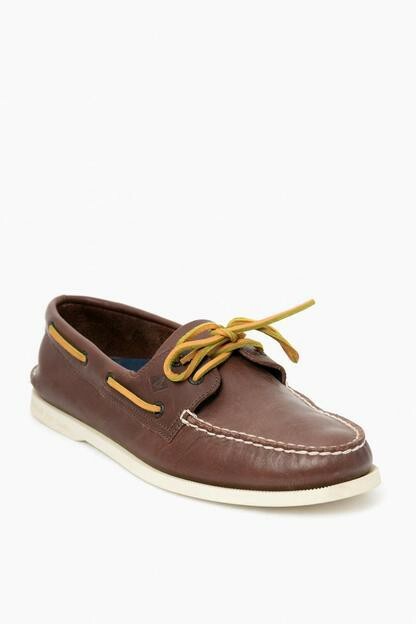 Great product, high quality! Exactly as the picture portrays. My husband loved this for his Christmas gift.